Edisto Beach is going to be packed this weekend. Sure, it’s Memorial Day Weekend and the weather is supposed to be amazing. But what people will really be in town for is the annual Edisto Beach Fish Fry. 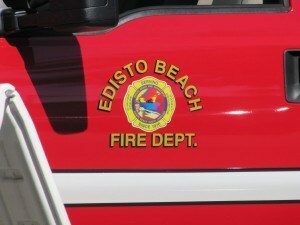 The Edisto Beach Volunteer Fire Department’s Annual Fish Fry is an all-day event. It takes place from 11 a.m. to 7 p.m. Saturday at the Lion’s Club located at 2907 Myrtle Street. Local catch will be battered up and deep fried into golden perfection for all of those in attendance. There will be hot dogs, fries, desserts and drinks available in addition to the fish. Take out dinners will also be made available. For entertainment, arts and crafts booths will be set up by locals. There will also be fire truck rides from 1-4 p.m.
As always, donations are always needed for the volunteer fire department to keep on servicing the needs of Edisto residents. Donations can be mailed to the Edisto Beach Volunteer Fire Department, 2414 Murray St, Edisto Beach, SC 29438.